With summer right around the corner, it’s easy to remember how important it is to protect our skin from the sun as our skin begins to burn. But what about our eyes? Research polled 10,000 adults and found that over 20% don’t think their eyes are at risk for sun damage! 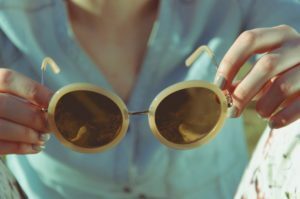 Another half of the adults surveyed simply forget to wear their sunglasses, and 14% damage their sunglasses so often that they just don’t comply with wear. 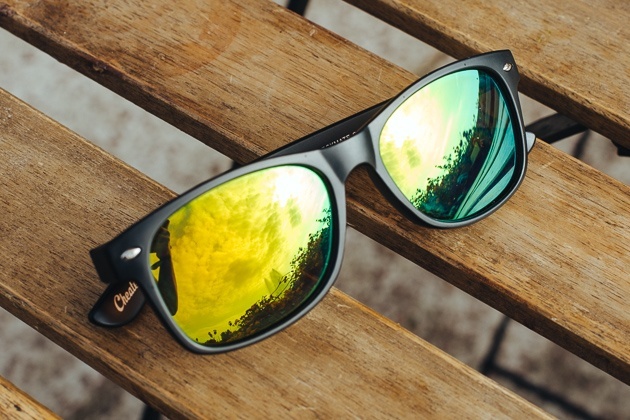 It is estimated that about every 14 seconds, someone in the U.S. breaks, loses, or sits on a pair of sunglasses! So why bother, right? -ALWAYS wear your sunglasses! Even when it is cloudy outside, UV rays can still cause damage. Buy a pair labeled “100% UV Protection” or “UV 400.” Keep in mind that the most protective sunglasses aren’t always the most expensive! -You can never protect yourself enough. Even if you have a natural habit of wearing your sunglasses, try adding a wide-brimmed hat for maximum protection. -Haven’t started wearing sunglasses yet? While UV damage can occur quickly to the eye, it can also build up over time. It’s never too late to start! Parents- make sure to protect your children’s eyes, too! A recent survey has shown that only 58% of parents have their children wear eye protection in the summer as well. 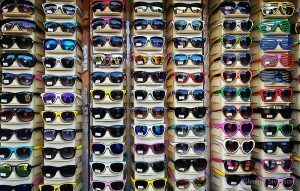 -If you have a habit of forgetting your shades, buy a few pairs! Leave a pair in your car, a pair in your beach bag, and a pair in your purse or briefcase. This way, you’re more inclined to put them on as soon as you think of it. Elton John seemed to have the right idea; with over 1,000 pairs, he is rumored to have the largest collection of shades reported! Not to worry—no need to go to that extreme! Two or three pairs should do the trick. Remember, it’s always better to be safe than sorry. Many of the effects UV rays have on eyes can cause irreversible damage. This summer, be sure to think of sunscreen and sunglasses as a duo! Your eyes will thank you!